One of the big advantages for developers on Windows Phone 8 is the ability to use new gaming engines to drive the graphics. Unity is such an example, and it’s used by many gaming houses for development. The problem previously was that developers would have to rewrite their games specifically for Windows Phone with degradation in performance and appearance. Between the time and the final product, most developers walked away. We’ve been anticipating the first Unity-driven game for Windows Phone 8 for some time and that day is evidently upon us. 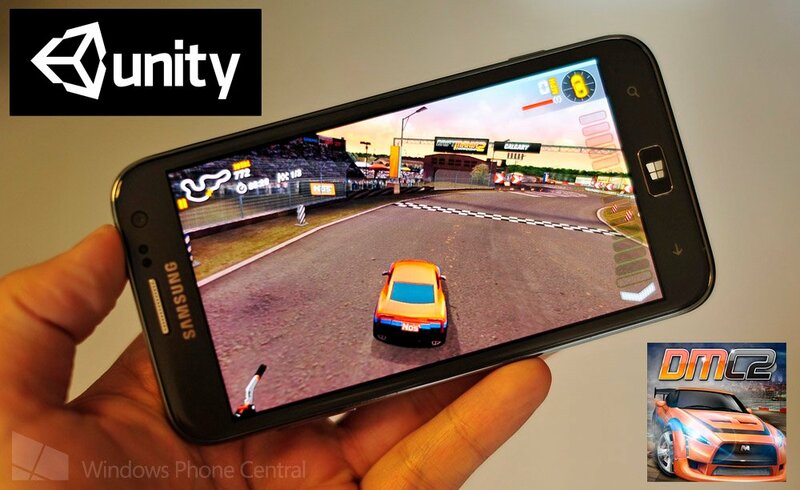 Microsoft’s Joe Belfiore tweeted today that Drift Mania Championship 2 is the first game on Windows Phone to feature the Unity engine. The game runs for $1.99 with no trial and weighs in at 200MB. The game itself is your typical racer game, complete with car customizations and head to head battles, but it also features the whole ‘drifting’ sub-genre where through controlled skids, you drift through turns. Doing so will get you points and doing it with flare even more so. “With over 10 million players worldwide, the #1 Drift game on the App Store is finally back! Drift Mania Championship 2 delivers the ultimate drift experience with its highly addictive gameplay and next generation graphics. HIGH DEFINITION GRAPHICS - Drift Mania Championship 2 includes next generation 3D graphics specially optimized for your hardware to provide you with the best drifting experience. UPGRADE YOUR RIDE - Upgrade your ride by installing aftermarket performance products from licensed brands including Royal Purple, K&N, Magnaflow, Centerforce, Whiteline and Mishimoto. CUSTOMIZE YOUR CAR - Fully customize your vehicle appearance with body kits, custom wheels, windows tints and spoilers. Make it your one of a kind drift beast! TUNER FRIENDLY - Adjust different aspects of your car including the suspension, steering sensitivity, gear ratio and weight distribution to suit your own driving style. BECOME A DMC CHAMPION - Complete the career mode which includes over 13 drift circuits, 60 achievements and 48 performance upgrades to unlock. Gain cash to upgrade your favorite ride with visual and performance mods. DRIFT BATTLE - Start a drift tournament, compete in tandem against an opponent while making your way to the finals! 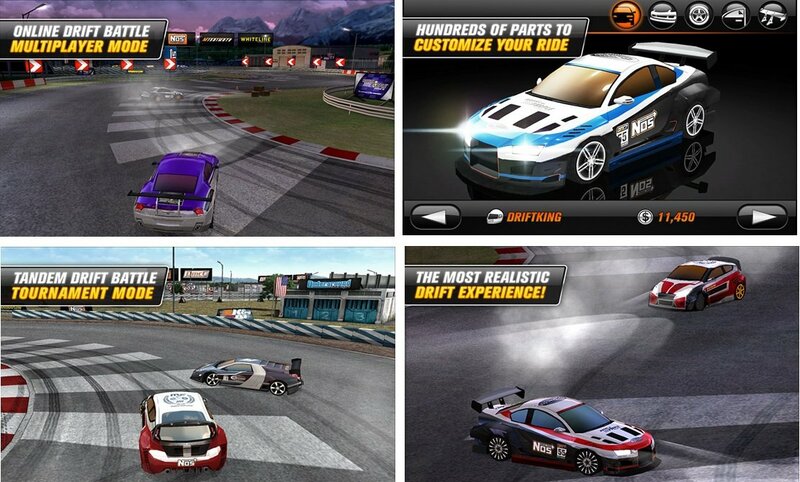 ONLINE & LOCAL MULTIPLAYER MODE - Challenge your friends to a drift battle! We’ve only played with it for a few minutes, so our judgment is quite preliminary—it’s not a bad racing game and it is evidently quite popular on iOS, so of this is your style then it is worth checking out (we’ll have a few review coming soon). Like we said, there is no trial for Drift Mania Championship 2 but you if you have a Windows Phone 8 device and don’t mind parting with $1.99, you can find it here in the Store. Want to learn more about Unity? Read our exclusive interview with their CEO on why they’re working with Microsoft for Windows Phone 8.